Still decorating the annual tree with those same austere ornaments that have been passed down for generations? Time to spruce things up with Christmas tees for your Christmas tree. 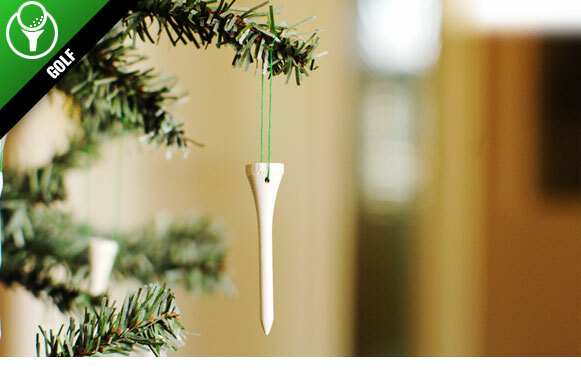 With a look similar to icicles hanging on the branches, these tees bring a golf theme to the festiveness -- just, uh, don't use 'em for golf unless you're prepared for a speech from Mom about playing ball in the house. A package of 25 comes in a resealable plastic bag. And the best part? You can finally leave those old hand-me-downs in the attic.